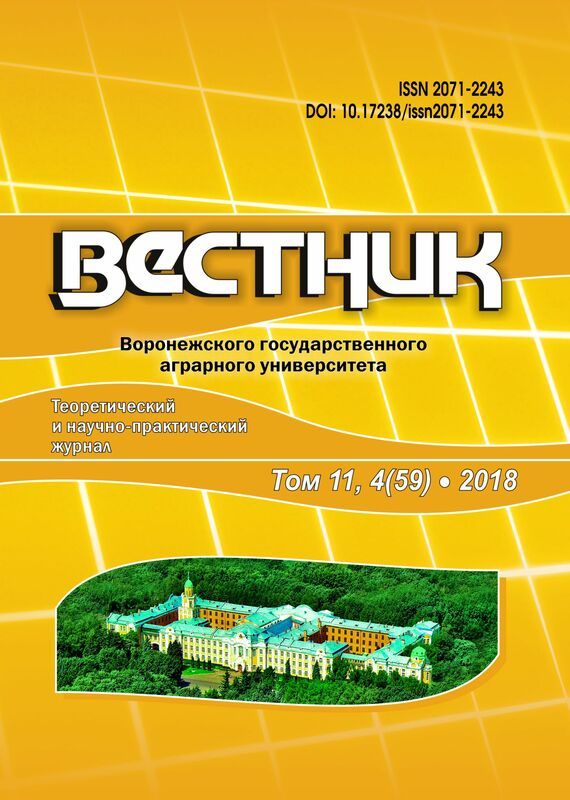 By the decision of the Higher Attestation Commission of the Ministry of Education and Science of the Russian Federation Vestnik of Voronezh State Agrarian University is included in the List of Russian peer-reviewed scientific journals and periodicals in which it is recommended to publish basic scientific results of candidate and doctoral dissertations (the List is valid from December 01, 2015). The journal is included into Russian Science Citation Index (РИНЦ), as well as in the database of the International Information System AGRIS (Agricultural Research Information System). Certificate of Registration of Periodical №FS77-56523 of 26.12.2013 issued by the Federal Service for Supervision of Communications, Information Technology, and Mass Media, Moscow. Publishing index: 45154, publishing agency “Kniga Servis”, “Pressa Rossii”. The journal is registered by the Federal Service for Supervision of Communications, Information Technology, and Mass Media.